Key Difference: Both horoscope and kundli are charts and diagrams that are used to make predictions. There is no difference between the two, except that the term kundli is commonly used in Indian Astrology, while horoscope is a general term. Astrology is a field of study under divination. Divination is the process of trying to tell the future by looking into the occult. Astrology tries to tell the future of a person based on the planetary positions at the time of the person’s birth. Belief in astrology has declined over the years, especially as compared to before. Back in the day, astrology was considered to be a science, similar to astronomy, alchemy, meteorology, and medicine. However, the scientific community has since stopped acknowledging it as a science. It is at best considered to be a pseudoscience. There have been many studies conducted over the year with the aim to allow astronomers to defend their field; however, no study has been able to prove that there is any truth beyond pure chance in astronomy. Kundli, also known as Horoscope is an instrument that is used in astronomy. Kundli and Horoscope is also called "Natal Chart" astrological chart, birth chart, astro-chart, celestial map, sky-map, star-chart, cosmogram, vitasphere, radical chart, radix, chart wheel, or simply chart. Kundli and Horoscopes are the charts and diagrams that are made on the basis of the positions of the sun, the moon and the planets at the time of the person’s birth. The kundli and horoscope are then used to make predictions about that person’s life. The main difference between a horoscope and a kundli is that a horoscope is primarily used in Western Astrology, whereas a kundli is used in Indian Vedic Astronomy. However, today the term horoscope is commonly assumed to be synonymous with the predictions rather than the charts to make the predictions. When someone mentions horoscope, the first thing any person thinks is the small paragraphs of generalized prediction that are printed in newspapers, magazines, and now even in books and websites. However, these predictions are often much generalized on the basis of the sun sign or zodiac sign. They take into consideration only the position of the sun at the time of birth and disregard the position of the other planetary objects. 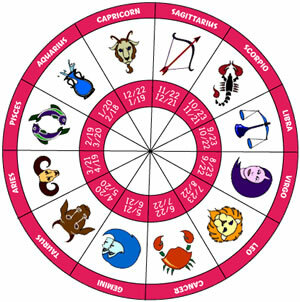 Horoscope is a chart or diagram made via the use of astrology. 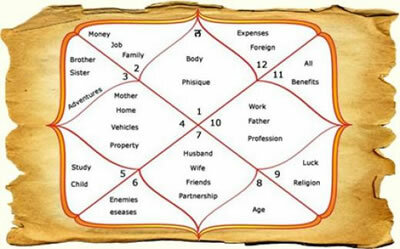 Kundli is a chart or diagram made via the use of astrology. "Natal Chart" astrological chart, birth chart, astro-chart, celestial map, sky-map, star-chart, cosmogram, vitasphere, radical chart, radix, chart wheel, or simply chart. "Natal Chart" astrological chart, birth chart, horoscope, astro-chart, celestial map, sky-map, star-chart, cosmogram, vitasphere, radical chart, radix, chart wheel, or simply chart. My marriage scores are 28/36 according to kundli matching and 16/36 according to horoscope matching ...so which one is consider authentic?